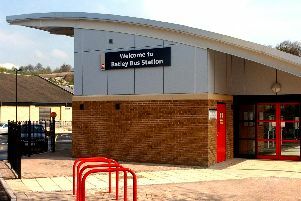 Residents concerned at growing crime rates in Batley and Birstall could soon see a beefed up police presence in their communities, funded by a rise in Council Tax. That's according to West Yorkshire Police and Crime Commissioner Mark Burns-Williamson, speaking in response to issues raised by a Batley politicians. Earlier this month Birstall Chamber of Trade president David Exley claimed that new businesses coming into the town had been put off as a gang of youths continued to target local businesses. And residents of both towns have been terrorised by youths on 'nuisance bikes', with a number of road traffic accidents and cases of anti-social behaviour reported in the past two years. Local councillors and Batley and Spen MP Tracy Brabin have made their concerns clear this week. The Labour MP said: “The lives of people in Batley and Spen shouldn’t be blighted by crime and anti-social behaviour, but sadly it feels that this is on the rise. “We’ve got to crack down on crime because too many people are coming to me having been kept awake at all hours of the night due to nuisance bikes. And it’s devastating that shops are facing burglaries - the shops in our town provide a valuable service and we need to protect them from these crimes." Mr Burns-Williamson said: “West Yorkshire Police has continued to face sustained Government funding reductions of significant proportions, having seen in the region of £140m in cuts since 2010, the equivalent of around 2000 jobs. “As MP Tracy Brabin rightly identifies, it is having a detrimental effect on the Force’s resources and consequently the outcomes across policing and the criminal justice system as a whole. “Albeit, improvements to the crime types and recording practices are an important influencing factor in terms of the figures, I am keen to ensure that we continue to see a positive trend when it comes to charge rates and alternative outcomes in dealing effectively with crime. I will continue to work very closely with Chief Officers and partners within the criminal justice system in monitoring and scrutinising the figures to fully understand the wider picture. “What must not be overlooked is the financial vacuum created by sustained cuts to policing and other public services across the board such as probation, prisons, courts and youth services, which is being felt in places like Birstall and Batley and many other areas across our county. “The fact that Government have not yet resolved the Police Funding Formula, which also potentially leaves us out of pocket each year in how funding is distributed nationally, only serves to compound the problem. “As I prepare to set the West Yorkshire Policing budget for the year ahead, there is little option but to raise the police aspect of Council Tax called the precept by up £24 per year (on Band D), in order to provide local people with the level of service and investment they quite rightly expect and deserve if we are to start turning things around against a backdrop of years of Government underfunding.